It was a sunny and lazy Sunday. All needed to add charm to my backyard BBQ was a fresh cocktail with no alcohol. Last time I was in that mood I tried a virgin mojito in a local tapas bar. The mix of sugary soda and mint didn't please me, so I decided to create my own. Here it is. I shared the drink later on our playdate and the kids and moms loved it. Cheers! 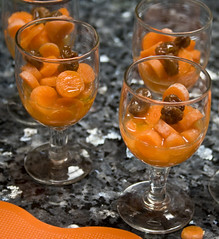 With some not so fresh strawberries and grapes, I prepared a syrup-like compote, simmering the fruits with orange juice. I used the mix as a base for the cocktail. If you are willing to try an alcoholic variation you can add some gin or limoncello. Add all ingredients, stir slowly and add fresh chopped mint on the top. Simmer all for about 30 minutes or until the fruits are smooth. Refrigerate and reserve for the drink. The simplest way to flavor ganache, as in yesterday's post on rose ganache, is to stir in extract, spices, or zest. Another way is to steep herbs in the cream for delicate, unusual flavors. It isn't much more work, though it takes a little more time. Gather fresh herbs and add them to the heated cream, making sure they're completely immersed. Cover the pan and let it sit for up to half an hour, strain, and reheat the cream to finish the ganache. Lavender ganache added a lovely touch to chocolate birthday cupcakes, topped with a generous helping of vanilla bean icing (hello, new favorite cupcake!). The leftover ganache went into the fridge to firm up while I made batch of ganache with apple-scented chamomile flowers and lemon verbena, this time with white chocolate. Both were rolled into truffles, along with the leftover rose ganache, and tucked into gift boxes. For more tips on making and using ganache, check out yesterday's post. If you have a favorite flavoring for ganache, I'd love to hear about it in the comments below! Be sure to use culinary lavender, preferably organic. Lavender from a florist or picked off your neighbor's plant may be treated with chemicals that aren't approved for edible crops. This technique works with any fresh herbs -- mint is an obvious choice. Put chocolate pieces in a bowl. In a small saucepan over medium heat, heat cream until just shy of boiling. Immerse lavender sprigs, cover saucepan, and turn off heat. 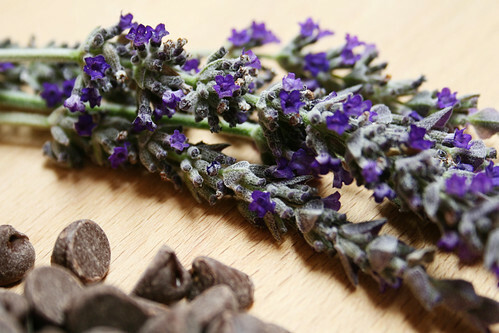 Let sit for 15 to 30 minutes, tasting to check the strength of the lavender flavor. Be conservative -- you don't want this to taste like potpourri. When it's to your liking, pour the cream through a fine-mesh sieve (you may need to do this twice) and discard the lavender. Return cream to saucepan and again heat until almost boiling. Carefully pour the hot cream over the chocolate and stir until smooth. Alternatively, pour hot cream over chocolate pieces in food processor. Chamomile and Lemon Verbena Ganache: Substitute chamomile blossoms and sprigs of lemon verbena for the lavender, and use white chocolate. Ganache is my Swiss army knife of desserts. It's incredibly versatile, as well as easy and elegant: A single batch can be rolled into truffles, poured to glaze a cake, warmed for chocolate fondue, stirred into milk, and much, much more. And then there's just plain eating it off a spoon. The stuff is magic, on the level of unicorns and a cup of coffee that never goes cold. 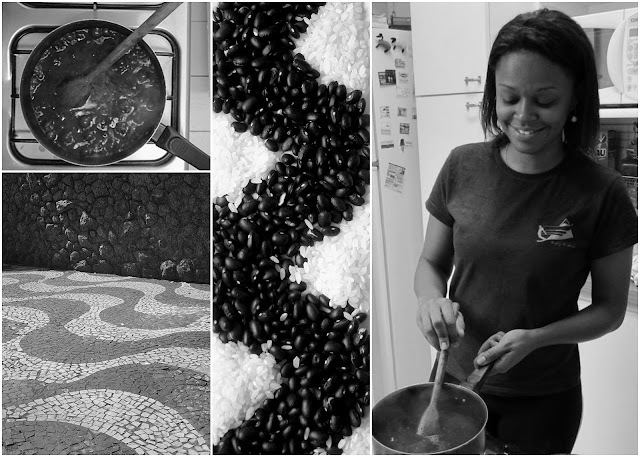 I turned to ganache a few weeks back when I realized just how much baking I had planned -- for birthday celebrations, thank-you gifts, a school function, and a craving for something indulgent. Spring fever inspired me to try floral notes, including rosewater, lavender, and chamomile. Today I'll share the recipe for Rose Ganache; tune in tomorrow for the other two. My ganache recipe is very simple: three parts high-quality chocolate to two parts heavy cream, plus any flavoring. This yields a somewhat thick but adaptable ganache. 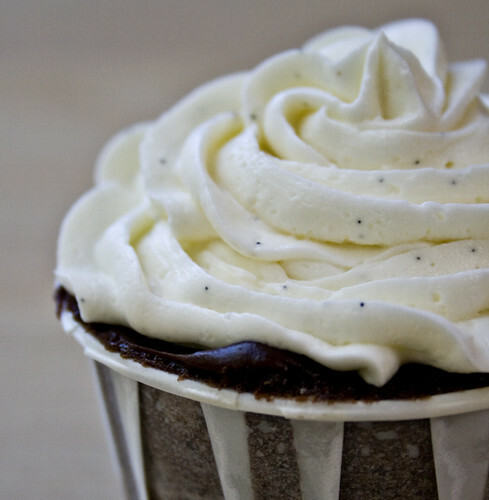 It can be spread on cupcakes or piped onto treats, or refrigerated and rolled into truffles. It also can be thinned with additional cream for glazing a cake. If I plan to make only truffles, I use a 2:1 ratio of chocolate to cream. It isn't an exact science; some recipes call for a 1:1 ratio, others incorporate a bit of butter. The cream is warmed, then poured over the chocolate. The two are gently stirred together to create a rich, to-die-for emulsion. The finished ganache lasts a few weeks in the refrigerator -- if you can resist the temptation to eat it all -- and freezes well for a few months. The simplest way to flavor ganache is to stir in flavorings such as spices, extract, citrus zest. The technique is detailed in the basic recipe for Rose Ganache below; tomorrow I'll share a wonderful way to infuse ganache with flavor. 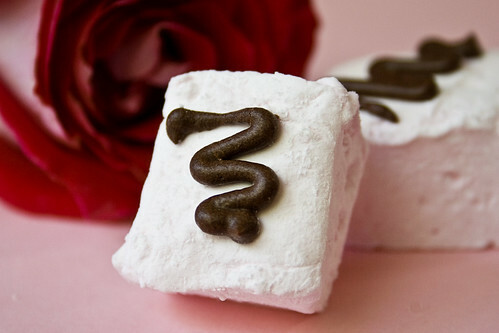 I rolled some of the rose ganache into truffles, but most of it was whipped and piped over rosewater marshmallows, an easy variation on Orange, Chocolate & Pistachio Marshmallows. 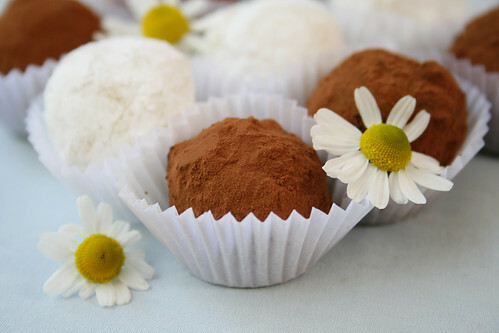 Refrigerate until firm, form into small balls and roll in cocoa powder or cover with tempered chocolate to make truffles. Warm ganache, thin with cream, and use to glaze cake. Use as filling with layered cake, cookie sandwiches, crepes, brioche, lava cake, and more. Stir into milk, warm or cold. Whip for a few minutes and use as frosting. Serve warm with fruit or cubes of cake for chocolate fondue. You can find rosewater in Indian and Mideastern markets, as well as some specialty food shops. Put chocolate pieces in a bowl. In a small saucepan over medium heat, heat cream until just shy of boiling. Stir in rosewater to taste. Slowly and carefully, pour the hot cream over the chocolate and stir. Don't whisk it -- you're just blending the two together, stirring until smooth. Alternatively, you could put the chocolate pieces in the work bowl of a food processor and pour in the cream while running the food processor. Store ganache in a covered container for up to two weeks. Variations: Instead of rosewater, substitute a teaspoon or two of extract or liqueur, or spices or citrus zest. We took a few days off to celebrate Mother's Day with our families. While we're on break, we're revisiting some favorite recipes from the archives. We'll be back with something fresh in a few days! 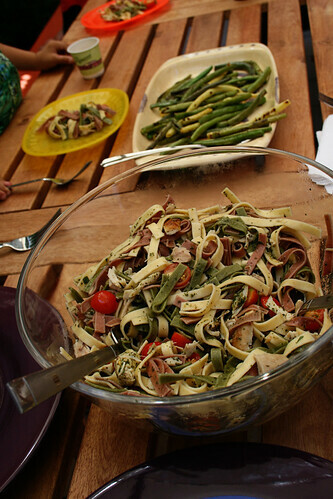 I chose this recipe here for its surprising result and good reviews from our kids. My little pretend-to-be pirates Captain Jack Hook and his matey Captain Bonanza Arco Iris were in the mood to eat fish. That was a novelty. Many times I tried to lure them with all types of fish I know, but all ended up in the garbage and the cook ...was mentally sent to the plank. They had their motives to be so eager to try new food. All costumes of pirates were ready for Halloween and our Sunday was an unusual one: It started on a hunt for different kinds of pumpkins at Farmer's John at Half Moon Bay. And got even better with our mini trip looking at the bay eating fish and chips, calamari and prawns at Half Moon Bay Brewery. After the weekend I was then brave enough to try fish for our playdate. The following recipe gathered many things that I wanted to introduce to my cooking, but never had courage to do. And the result was a wonderful surprise. As an appetizer the kids... ooops, pirates, had a taste of hard-boiled quail eggs, something very popular for kids in Brazil but never on our table before. They loved them and even asked this "pirate Cook" to boil another dozen. The "pink fish" was a hit! Not only was the dish tasty and attractive, all of our kids ate it all. And for the humble cook of the pirate ship here, was that blissful sensation of cooking the right fish, with the right taste and texture, and probably a wonderful dose of omega-3, and all B6 vitamin, protein and goodness of organic quinoa grain. Hey matey! The kids called the translucent grains of quinoa mini pearls and named the salmon as pink fish. I thought that was not just cute, but a wonderful interpretation of a very unusual dish. On a very hot skillet grill put salmon on skin side and sprinkle its surface with salt, scallions and a drizzle, or mist, of sesame oil. Cover it with slices of smoked salmon and let it cook for about 7 minutes or up when skin begins to get crunchy. Turn the fish, keeping the smoked fish with it, and let it shallow fry for more 5 minutes. Set aside. In the meantime prepare quinoa grains with water, adding celery to it, as directed in the package. Reserve on the side. In another skillet, stir fry cabbage in olive oil. Remove smoked fish from the top of fresh salmon and cut in tiny strips, adding to cabbage pan. Take quinoa from pan and mix with the stir fry for about 4 more minutes. Add drizzle of sesame oil and more drops of soy sauce. Serve fish with quinoa "pearls"on the side and double check while dishing it to kids looking for tiny bones. We took a few days off to celebrate Mother's Day with our families. While we're on break, we're revisiting some favorite recipes from the archives. We'll be back with something fresh in a few days! This is one of my favorites from last summer. Tips and Gadgets: What a mist! This is the gift I chose for my mother – besides cooking a three-course meal when I visit her. And mom, if you are reading this, sorry to spoil the surprise! This bottle looks like a very sleek perfume mister, but it is actually... olive oil. I've been using mine for a couple of months no, and I can guarantee that it is by far one of the most-used gadget in my kitchen, besides pots and pans. The first thing I love about it is the ability to use very little oil to coat anything I like to fry, grill, or broil. Normally I fill it with my favorite brand of extra-virgin olive oil, but sometimes I can go sophisticated and dress it up with some herbs or spices. There are other brands in the market, but this one caught my eye not just because of its shape but also because of its environmentally friendly characteristics. It's BPA-free and the pumping system is easy and efficient. Talking about the environment, besides taking care of my family health, here's a very good reason to opt out of deep-fry cooking, which I already did a long time ago. A friend brought me to attention last Earth Day that much of the oil pollution in the water is caused by cooking oil disposed in the sink. That inspired me post all about this little bottle: At the end of the day, with no excess of oil, you can even dare to prepare French fries with no harm to Mother Earth. Or perhaps sweet potato fries in the oven, coated with a little mist from this magic bottle. The asparagus in the picture is just waiting to be grilled with its mist, after being blanched, with some sea salt and garlic. Here are some recipes that might benefit from the oil mister. If you are willing to surprise your mom or your kids, this novelty is for you! Darienne created this delicious thing and I will give it a try in the oven, using the mister to guarantee its crunchiness. This is one of my favorite party foods and to avoid frying I ended up preparing them with the help of broiler. in my kitchen gadgets ... and camera! Happy Sunday! I rely on favas to re-energize my garden over the winter, keeping the heavy soil loose and pumping nitrogen into the dirt in preparation for the spring planting. Last year, I gave the harvest to Anna: I needed to get my tomato seedlings in that spot, and I had no time to peel, boil, then shuck beans. Too much work! 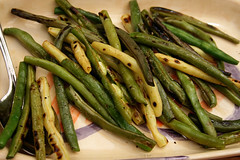 Then I read about broiled and grilled favas over at Local Lemons, and I saw favas in a whole new light. This is much more my speed: From raw pod to tasty, cooked beans in just minutes. Simply toss the favas with olive oil and seasonings, then broil or grill until blackened on each side. 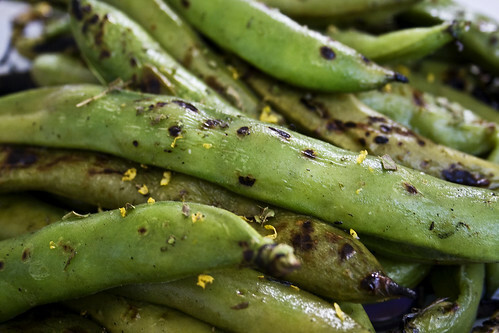 The pods split open, offering up creamy, fresh, delicious fava beans. Even the fuzzy outer covering on each bean tastes good this way. I couldn't get enough of these, and at least one of my kids loves them too. I'm already planning an extra row of favas this fall. Tempted to make it? Let us know with the new check-box feature below the post! Be careful at the grill! When these things get hot, they can split open and start firing off beans like little cannons. Wash and dry beans and put in large bowl. Pour in a bit of olive oil, season to taste with salt and pepper, and toss to evenly coat pods. Lay pods out on a medium-hot grill and cook, turning once, until pods are charred on both sides. Remove pods to a serving plate. Sprinkle with lemon zest, finish with a squeeze of lemon juice, and enjoy. His 3-year-old brother helped by scribbling on another paper bag that he taped to the cabinet as the speaker. At dinner time, the kids lined up behind the speaker and placed their orders. I played the part of the slightly surly restaurant worker, and Anna and I filled the bags, wrapping fries in waxed paper and tucking in a few stickers as treats. Strawberry shakes proved too ambitious, so we included whole strawberries and boxes of lemonade. 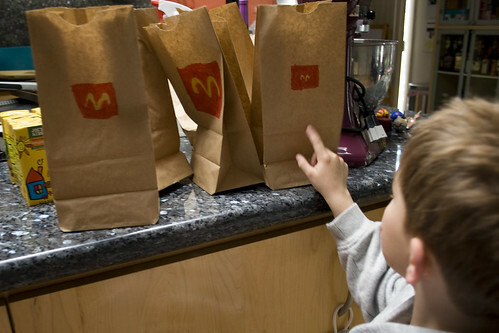 Playing drive-through is a great way to shake up routine, and the kids had a blast. As they settled into the living room for the drive-in movie -- shown on the big screen with a projector -- I grilled fava beans and burgers for the grownups. It's a tough crowd for burgers: Most of us have been doing serious work on improving our diets due to cholesterol concerns and creeping weight gain. I chucked my old burger recipe out the window and started over from scratch. I built this version around organic, grass-fed beef I'm lucky to be able to get for a decent price at a local farmer's market. 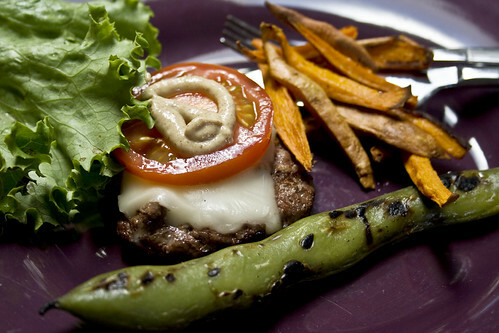 Grass-fed beef is lower in fat and calories than grain-fed beef, and much richer in nutrients and omega-3 fatty acids. And it tastes fantastic. It still isn't health food, but it's a very good choice if you eat beef. I don't want to be a meat snob, but get your hands on some if you can. I mixed the beef with an equal amount of ground turkey and added marjoram to infuse it with savory flavor. Meaty, savory, and satisfying. You could stretch this to make eight burgers, but they'll be small after they shrink. I know this, because that's what I did. Put ground beef and turkey in a large bowl. Sprinkle Worcestershire sauce and marjoram over meat and then combine gently. Handle the mixture minimally -- just enough to evenly blend it together. Divide meat mixture into six equal parts and gently shape into patties. Press a dimple in the middle of each one to keep it from bulging in the center as the meat shrinks. Grill patties according to your preference. We cooked them for 3-4 minutes on each side over medium heat, until they were just past medium-rare. If using cheese, top burgers with cheese in the last minute or so on the grill. Serve on whole wheat buns and top with your favorite condiments. I like these with the skins on, but you can peel them if you like. Play with the seasonings to suit your taste -- these are relatively mild, in deference to the kids. Preheat oven to 500 degrees. Grease two baking pans lightly with olive oil. Scrub potatoes very well and slice into fries about 1/4-inch thick. Combine the remaining ingredients -- oil through salt and pepper -- in a large bowl and add potatoes, tossing well to coat. Spread potatoes in a single layer on prepared baking sheets. Bake for 25 to 35 minutes, shaking the pan occasionally and turning potatoes once or twice, until potatoes are browned and crisp.